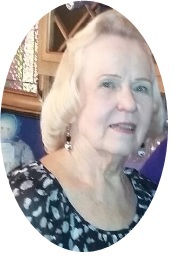 Sandra L. Meyer-Hilker, 78, of Edwardsville, Ill., born August 3, 1939 in Granite City, Ill., passed away Thursday, September 21, 2017 at Gateway Regional Hospital, Granite City, Ill.
Sandra was a member of St. John UCC in Granite City, an Evening Guild at St. John UCC, and was a CMA for Dr. K. Patel for over 20 years. Preceding her in death are her parents, Fred and Lillian, nee Hays, SanSoucie; her first husband, A. Lynn Meyer, whom she married on January 19, 1957, who passed February 24, 1998; and her second husband, Robert Hilker, whom she married on August 6, 2005, who passed June 14, 2012. Surviving are her children, Debbie (Kevin) Fiala of Granite City, David (Susan) Meyer of Dallas, Texas, Scott (Beverly) Meyer of Granite City, and Brian Meyer of Edwardsville; daughter-in-law, Joni, nee Savala, Meyer of Collinsville; brothers, Michael (Barbara) SanSoucie and Fred (Patricia) SanSoucie of Granite City; sister-in-law, Billie (late, Oliver) Meyer of Granite City; Sandra was the beloved grandmother of Christopher Fiala, Jennifer Meyer, Jacob (Jen) Meyer, Nicolas, (Cassidy) Meyer, Scott (Andrea) Meyer, Rachel Meyer, Brian (Shakira) Meyer, Samuel Meyer, Sebastian Meyer, Julian Meyer and Eva Meyer; dearest great-grandmother to Julie, Jacob, Carter, Carisma, Sadie and Kaya; stepmother to Robert (Susan) Hilker; step-grandmother to Benjamin, Libby, Annie and Jack Hilker; as well as special friend, Dianna Atkinson. Memorials may be sent to Organ fund at St. John UCC. Visitation: Visitation is from 4 to 8 p.m. Monday, Sept. 25, 2017 at Thomas Saksa Funeral Home, Granite City and again from 10 to 11 a.m. Tuesday, Sept. 26, 2017 at St. John UCC.